Across the vast area which comprises Melanesia and the broader Oceania region, visitors are likely to encounter endless blue seas peppered with tropical islands right out of a postcard, sandy beaches and Lockwood-built churches and meeting houses. 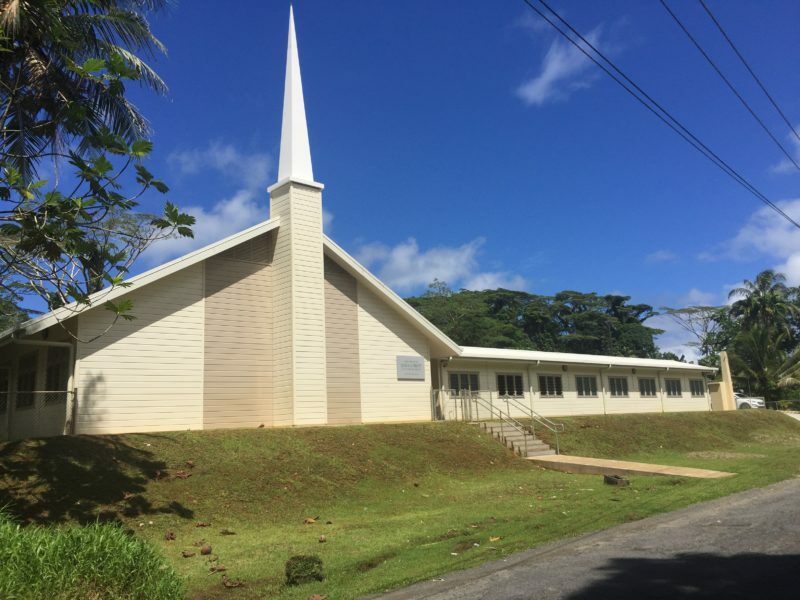 With a long history in the Pacific, the Church of Jesus Christ of Latter-Day Saints has consistently looked to Lockwood for the construction of its buildings, with the most recent one completed in 2017 on the island of Pohnpei. 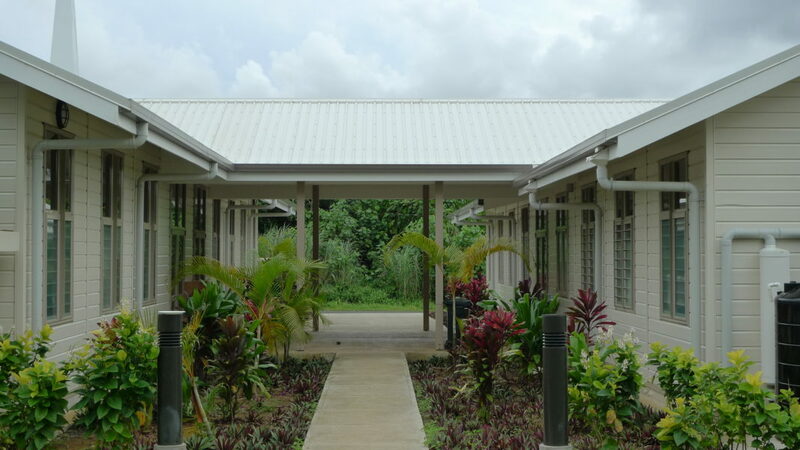 The story begins in the early 1980s, when building components pre-manufactured in Rotorua, New Zealand, were first shipped and erected on islands across the Pacific, providing long-lasting, weather-proof solutions which are also practically maintenance-free. 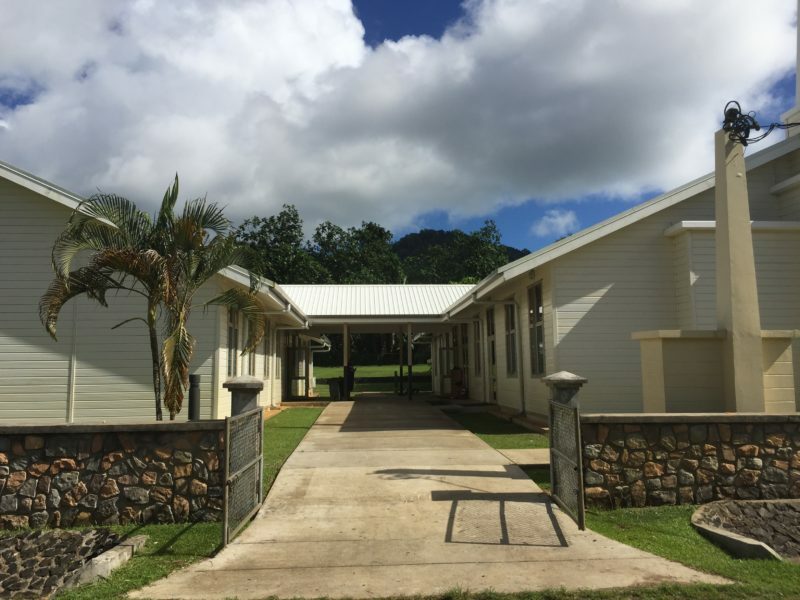 And in areas where construction crews and equipment are hard to come by, the Lockwood buildings provide the added advantage of rapid, simple construction requiring basic carpentry skills. 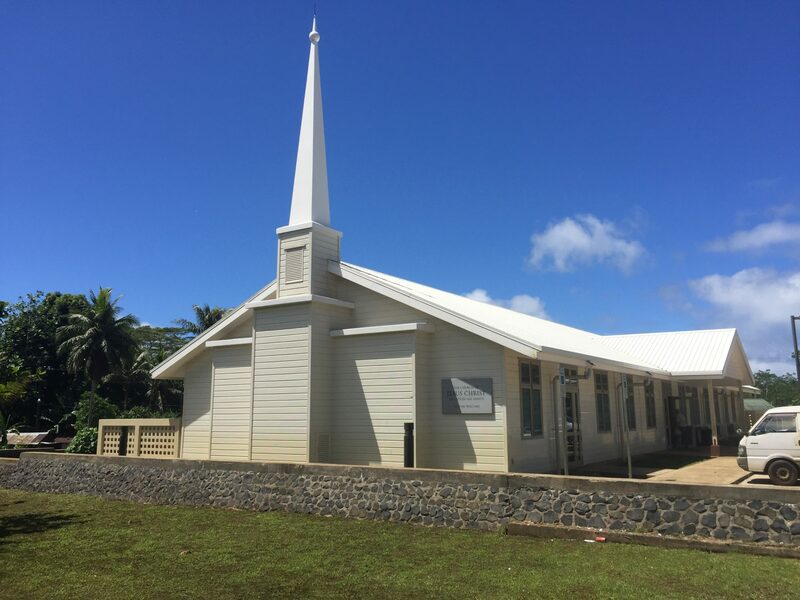 The Church of Jesus Christ of Latter-Day Saints (LDS Church) first started its work in Micronesia in 1977. It wasn’t long after that a requirement for suitable church buildings arose. 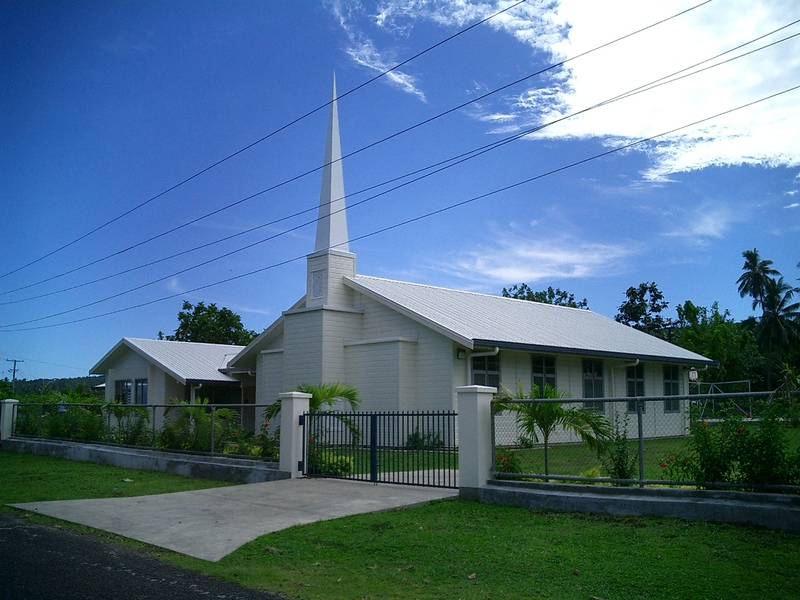 With scarce materials and availability of skills, the LDS Church sought a solution which would allow for the rapid construction of suitable structures; durability was a further desirable requirement. 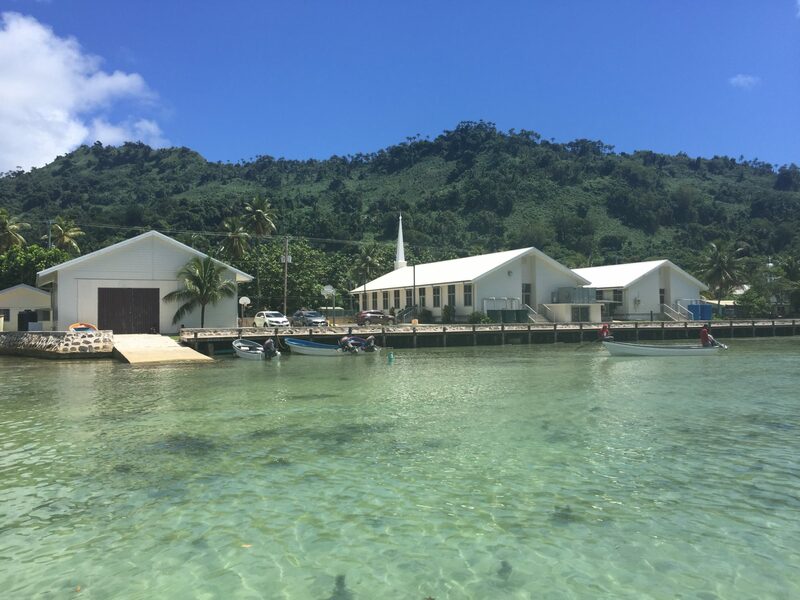 The islands are subject to temperature extremes, routinely experience severe rains and high winds, with hurricanes a regular occurrence, and have little available in terms of other resources necessary for maintenance. 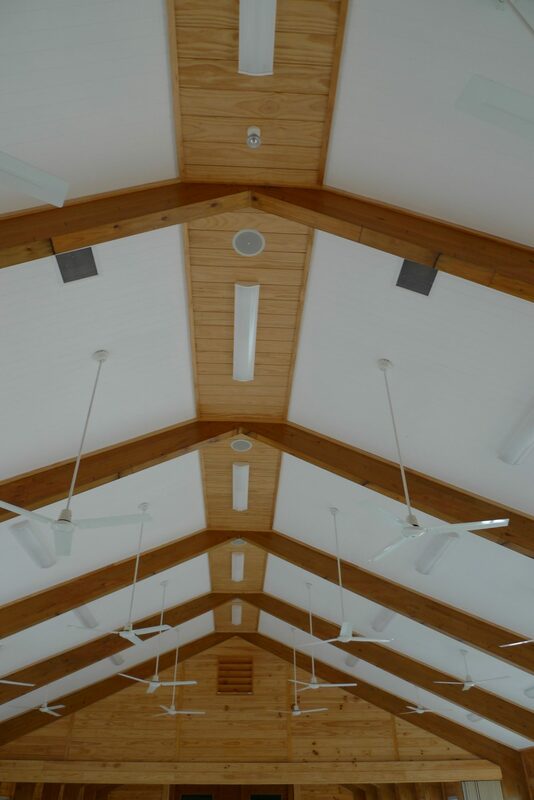 These factors made the Lockwood solid treated timber construction highly attractive to the LDS Church. One of the first Lockwood buildings to come to the attention of the LDS Church is a Catholic school located on the island of Guam. 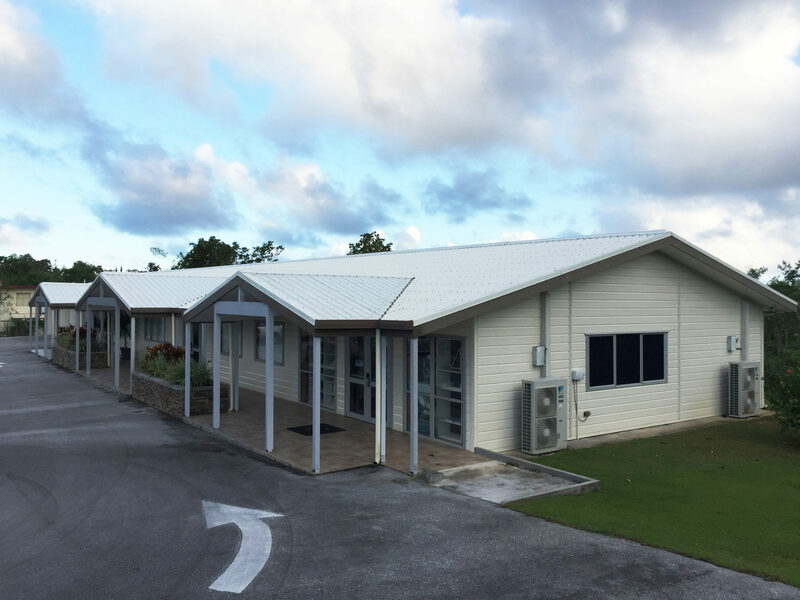 Built in the early 1980s, this building was located near the LDS Church’s own offices in Guam and served as an example of how a Lockwood is capable of standing up to everything the elements can throw at it. 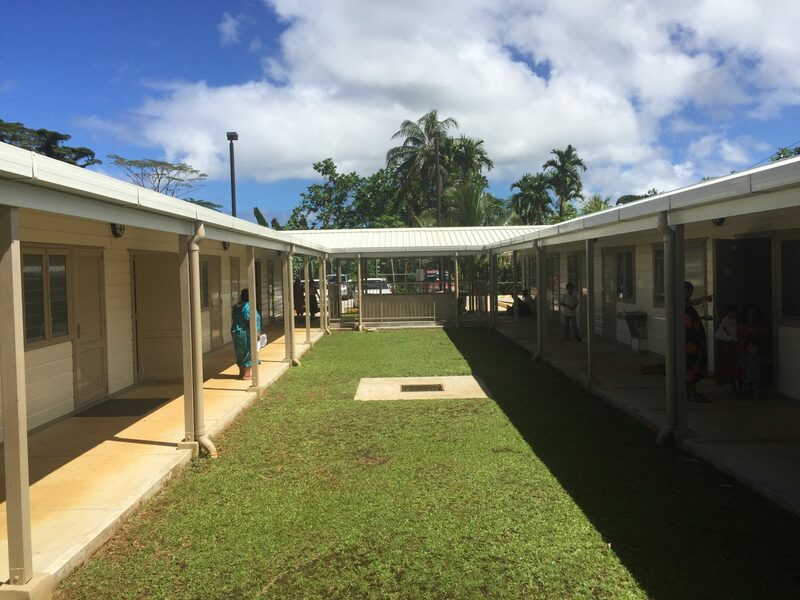 This initial realisation led to further insights which demonstrated the suitability of the Lockwood system for the far-flung islands of the Pacific. From its factory in Rotorua, each building is designed and produced in close co-operation with architects and engineers, before being packed into containers and shipped to their final destination. 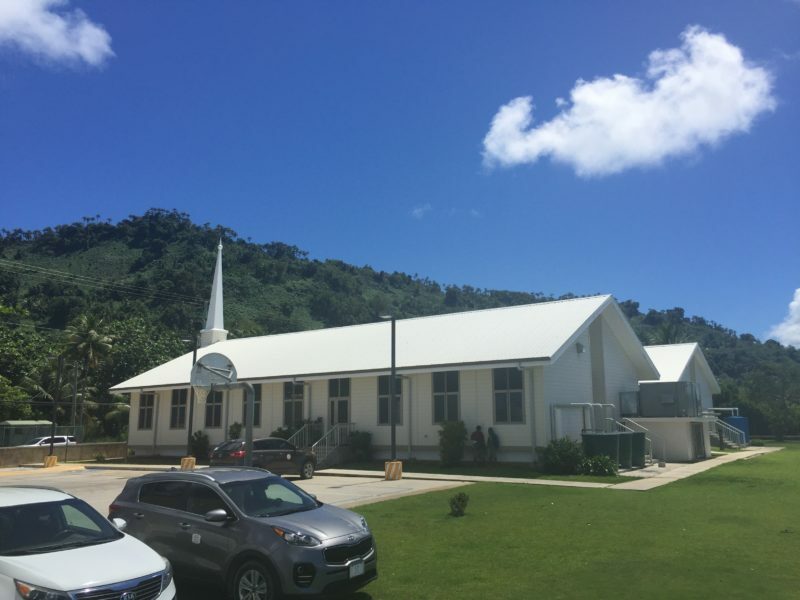 Because the buildings are ‘flat packed’, space in the container is optimised; the building itself is complete, including all joinery, partitions for kitchens and bathrooms, and even right down to the lectern and pedestal which holds the Bible. Upon arrival, the components are assembled by local carpenters with the support of Lockwood personnel, who teach correct methods and procedures for a lasting structure. This method has seen the successful construction of some 30 churches and meeting houses for the LDS Church. 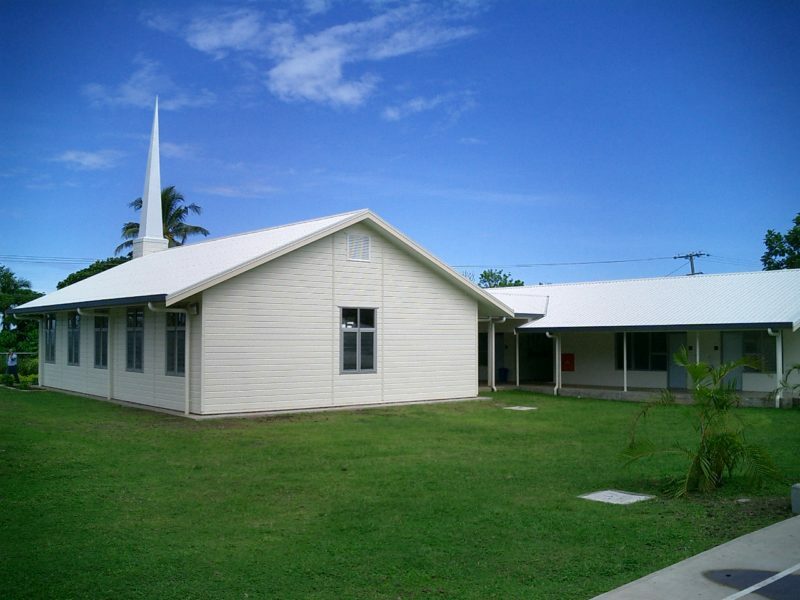 Many of these buildings are substantial, with up to 12,000 square metres under the roof; on many Pacific islands, the LDS Church’s Lockwood buildings are among the finest, standing as beacons of strength and resilience which reflect the position of the Church in island life. It is testament to the longstanding reputation of Lockwood commercial buildings that the LDS Church consistently looks to the New Zealand-based company for its new projects. 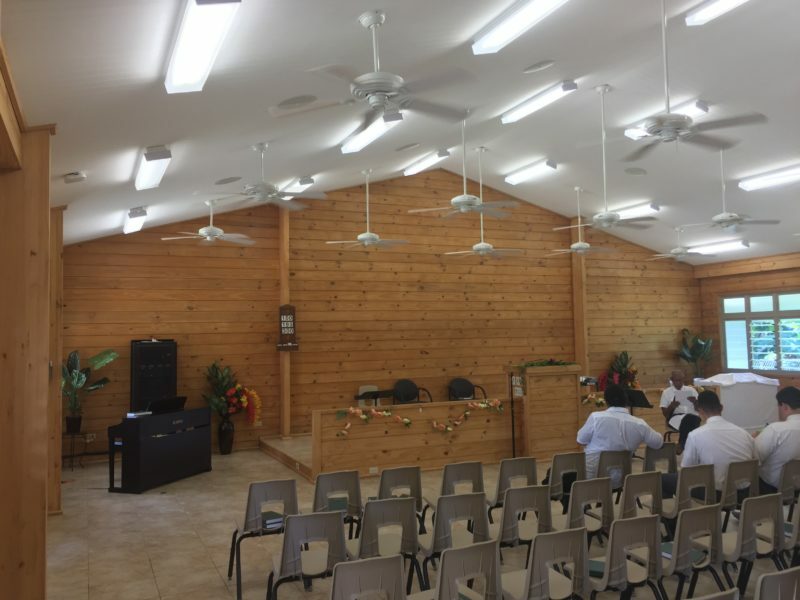 Most recently, on Pohnpei, a chapel with attached meeting rooms comprising a total under-roof area of 392 square metres was delivered in December 2017. From breaking ground, the entire building was completed within 6 months, a span equivalent to roughly one third of that required for other construction methods. Expectations for a long life for this building are realistic; other Lockwood buildings have stood up to the extremes of the harsh Pacific climate, while requiring a minimum of maintenance; unlike drywall systems, the solid Lockwood timber construction isn’t susceptible to holes in the walls, while exteriors are simply dusted off. 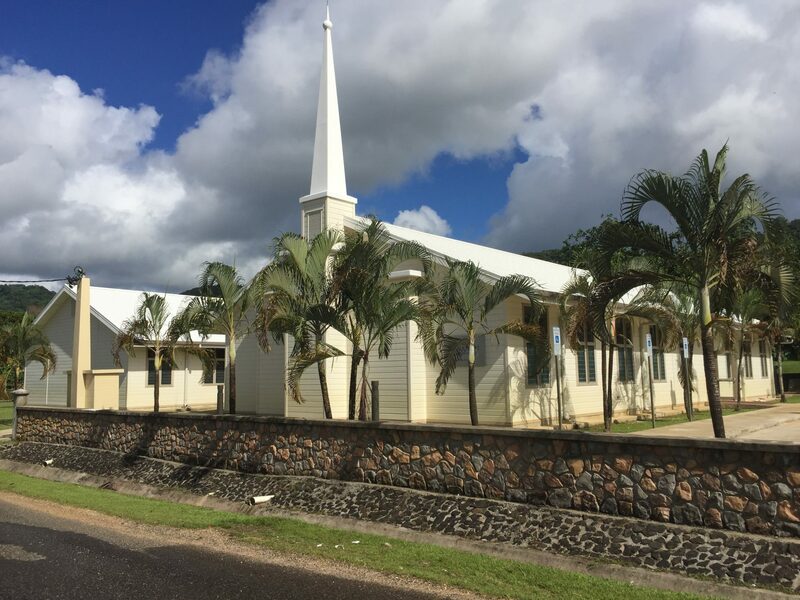 Even termites, commonly encountered in the Islands, are no match for Lockwood’s treated timber: one LDS Church member recounts how his cabinet was eaten, with the termites leaving alone a sample piece of Lockwood timber. 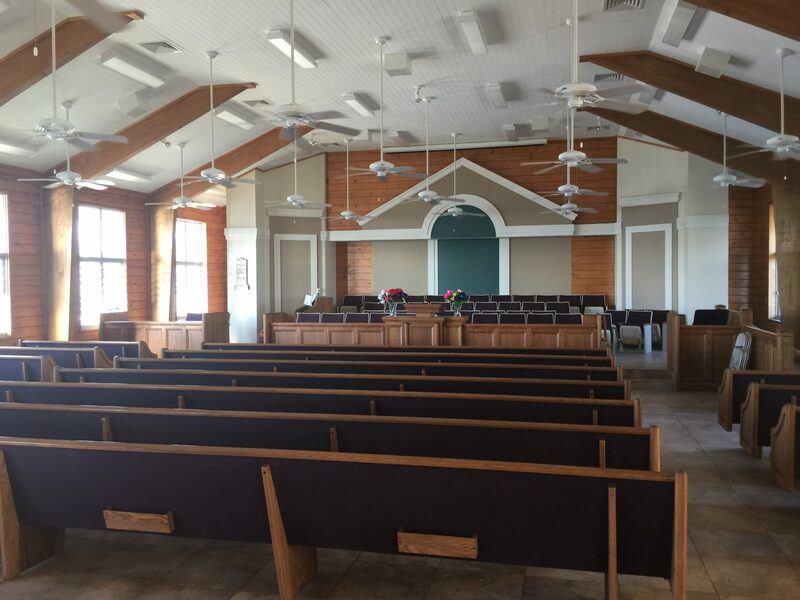 Needless to say, the long history and high number of Lockwood buildings owned by the LDS Church over several decades are a testament to the satisfaction of this client. 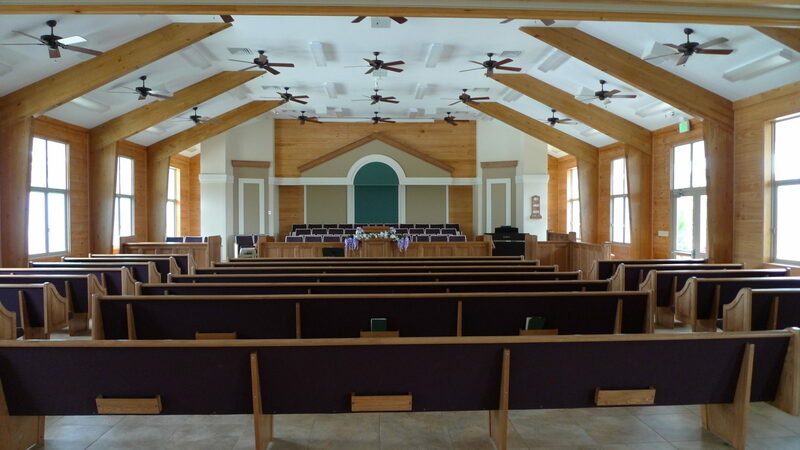 When new buildings are called for, Lockwood is always at the top of the list.